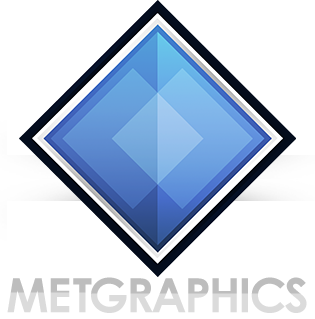 Forecast templates started everything here at MetGraphics.net. Starting with a base of five templates back in 2012, the number has grown significantly over the years – and here we are at the 50th template: T50 ‘Revolution’. T50 is a unique package, offering two different styles for you to create your forecast — the traditional route with icons of your choice, or using IntraWx. Typically a forecast template includes one display style, but given this is T50 something special had to be done, and two forecast styles was a much more ethical route to take instead of trying to pack in 3D models of giraffes in suites as a bonus. T50’s design style is a sleek and simplistic approach, using ideas from previous templates and some new ones blended together with care. The upper third was of course designed freshly for this template and blends well with the tiles and the background (which took countless hours to try to perfect and match with the theme). IntraWx, if you aren’t familiar, is a method MetGraphics has produced to displaying the weather utilizing the whole weather area of a forecast tile. Included with the IntraWx part of this template are 32 tiles in PNG format, with, you guessed it, 32 types of weather to choose from depending on what you’re forecasting. It’s easy to use, and makes your forecast look rather epic. If IntraWx isn’t your cup of tea, or you just want to change things up from time-to-time, you can utilize the traditional templates that retain a blank weather icon area for you to use your own weather icons in your forecast.